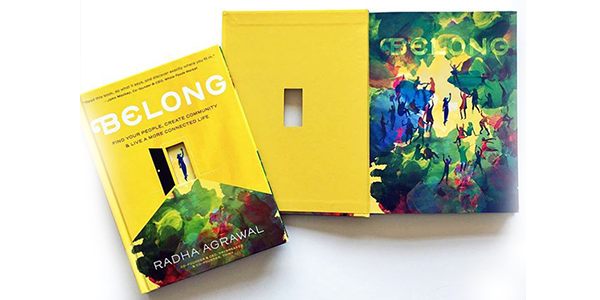 A book that’s equal parts inspiring and interactive, and packed with prompts, charts, quizzes, and full-color illustrations, Belong takes readers on a two part journey. Part one is Going IN—a gentle but intentional process of self discovery and finding out your true energy levels and VIA (values, interests, and abilities). Part two is Going OUT—building on all that you’ve learned about yourself to find those few special people who feed your soul, and discovering, or creating, the ever-widening groups that align with your aims and desires. Join us in September for our monthly book club meeting! We’ll announce the title for discussion on the 1st of each month, and gather in the reading room on the last Saturday of each month for a lively discussion to explore the ideas discovered between its covers. In The Hidden Life of Trees, Peter Wohlleben shares his deep love of woods and forests and explains the amazing processes of life, death, and regeneration he has observed in the woodland and the amazing scientific processes behind the wonders of which we are blissfully unaware. Much like human families, tree parents live together with their children, communicate with them, and support them as they grow, sharing nutrients with those who are sick or struggling and creating an ecosystem that mitigates the impact of extremes of heat and cold for the whole group. As a result of such interactions, trees in a family or community are protected and can live to be very old. In contrast, solitary trees, like street kids, have a tough time of it and in most cases die much earlier than those in a group. Drawing on groundbreaking new discoveries, Wohlleben presents the science behind the secret and previously unknown life of trees and their communication abilities; he describes how these discoveries have informed his own practices in the forest around him. As he says, a happy forest is a healthy forest, and he believes that eco-friendly practices not only are economically sustainable but also benefit the health of our planet and the mental and physical health of all who live on Earth. Copies of the monthly title are available for purchase in store. Meetings are free and open to the public. Stop by and get your copy today! Join us in August for our new monthly book club meeting! We’ll announce the title for discussion on the 1st of each month, and gather in the reading room on the last Saturday of each month for a lively discussion to explore the ideas discovered between its covers. Finding the answers will open the door to our next stage of development, leading us to our complete, truest selves.